Chartered on October 8th, 1936, Sanitary Truck Drivers & Helpers Teamsters Local 350 is an affiliate of the International Brotherhood of Teamsters and represents members in the Solid Waste Division and public sector. The locals jurisdiction includes the City & County of San Francisco , San Mateo County, Santa Clara County, and San Benito County making it one of the largest solid waste local unions in the country. For more than 80 years, Teamsters Local 350 has been fighting, and continues to fight for working class families. 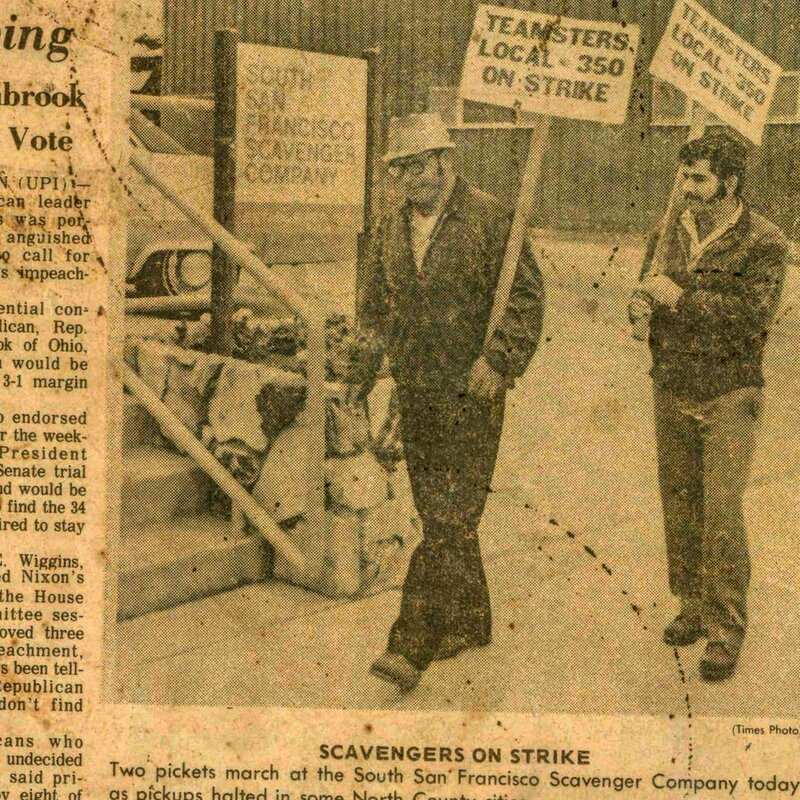 Under the leadership of Former Secretary-Treasurer and first director of the Teamsters Solid Waste, Recycling and Related Industries Division Bob Morales, the local union was able to negotiate the best contracts for it’s members, raising the bar for all waste division locals in the nation. As we look ahead Teamsters Local 350 leadership will continue with the same drive, passion and strength to make sure that each of our members are protected and represented.